Googlers are the types who never really leave the classroom. Guest speakers come to campus to give talks on subjects ranging from fiction to physics. Diverse groups of people work together to understand and solve big problems while groups of Googlers engage in passionate debate in our cafeterias. Given this environment, it’s no surprise how highly we value our external work in education. We have a growing number of successful education programs from primary school through to university, as well as a suite of free and open tools that reach families and classrooms around the world. Recently, we decided to gather our resources and lessons learned into one place for educators everywhere. “Google in Education: A New and Open World for Learning” highlights how people are using Google resources to enhance teaching and learning. This booklet isn’t your typical annual report; it’s a living document for educators to use year-round. We’ve also revamped our website, google.com/edu, to be a one-stop shop for teachers, students, parents and organizations to explore all of our offerings. We’ve launched a Google+ page, where everyone can stay updated on our educational tools, products and programs, and join the conversation. To develop all of these new materials, we went straight to the source, relying on dozens of educators to provide stories and feedback. We hope these resources will inspire and enable teachers, while affirming our commitment to increasing access to an excellent education for all. Thanks to educators, students and supporters everywhere for helping to extend our spirit of lifelong learning into classrooms around the globe. For more information about Google in Education, visit www.google.com/edu/about, and to stay updated on the world of education at Google and connect with fellow educators, follow us on Google+. Editor’s Note: Today’s guest author is Ari Daniel Shapiro from Atlantic Public Media (APM), a non-profit public media organization in Woods Hole, Massachusetts. APM was the recipient of a Google Earth Outreach Developer Grant, funded through the Google Inc. Charitable Giving Fund at the Tides Foundation. We’re excited to showcase how Atlantic Public Media has weaved Google Earth and KML tours into engaging stories about the diversity of life. Life gets around. Tiny Arctic Terns soar from the Arctic to the Antarctic, and back, in a single year. A kind of sea algae known as “sea grapes” roam from Australia to the Mediterranean as stowaways, and then promptly conquer their new home. As a radio producer, I’m used to telling these kinds of stories with audio, weaving together interview tape, ambient sound, and narration. For the last two years, I’ve worked with Atlantic Public Media and the Encyclopedia of Life (EOL) to produce an audio series entitled One Species at a Time. Each episode pays homage to a different organism that gallops or creeps or pulses on our planet. We collaborate on these stories with Marie Studer, the EOL's Learning and Education Director, who has championed our podcast as way to make the natural world come alive and generate excitement amongst people who want to learn about it and explore. While our podcast and public radio programming brought these tales of the natural world to listeners all over the planet, we always look for ways to tell these stories better and share them more widely. Eduardo Garcia Milagros, a biologist and KML developer in Spain, approached us last year with the idea to use Google Earth as a platform for these mini-documentaries. Brimming with enthusiasm, he shared “When I first opened Google Earth, I went to see my hometown. Once I started exploring KML capabilities, I realized that Google Earth can be an amazing educational tool, especially when you have a good story.” Inspired by his excitement, we decided to identify species whose stories could really be best illustrated through a map, such as the Arctic Tern’s annual migration. Our tour on Arctic terns can be viewed on YouTube or downloaded and explored in Google Earth. Incorporating Google Earth into our narratives proved to be an interesting challenge for me and Jay Allison, my editor on the project and the Executive Director of APM. We wanted to make the most of the map as a medium to bring to life the tale of the Arctic Tern and other species for viewers. By integrating geographic animation and imagery from all over the world with the audio and images from contributing scientists, we were able to support and enhance the story. For example, in the sea algae tour below, we circle the globe to the Amazon rainforest to illustrate a phenomenon in the ecology of the Mediterranean. Our sea algae tour can also be found on YouTube or downloaded for viewing in Google Earth. These tours combine voice, sound, images, video, and data-driven animations to explain how two creatures have been able to travel so much of our planet. Coming from a public radio documentary background, we tend to approach things from a purely narrative or poetic angle, but Google Earth tours allow for audio/visual dialogue as well. The movement isn't purely in the story. The map can become part of a “conversation,” and we're just beginning to explore the possibilities. We hope to produce more of these Biodiversity on the Move tours in the future; we’d like to hear what you think of them and what we can improve next time. Drop us a line on the Encyclopedia of Life blog. Yesterday, Martin Luther King Day of Service in the U.S., Googlers around the country worked with community service organizations to lend a helping hand in their area and commemorate the holiday. The Black Googler Network (BGN), an employee resource group made up of volunteers, spearheaded this effort to set up service projects in multiple offices. In the California Bay Area, we joined The Center for Music National Service in the MLK Day of Service & Song in various projects to beautify John O’Connell High School in San Francisco’s Mission district. Projects included mural painting, landscaping and organizing books and materials, and the celebration included time for students and volunteers to share their art and voice their feelings about the importance of the day. In New York last week, we teamed up with the Harlem Children’s Zone for a full-day workshop with college students to review their resumes and conduct mock interviews, aimed at supporting the organization’s goal of ending the cycle of generational poverty. And in Ann Arbor, Mich., we joined the Ann Arbor Community Center and University of Michigan students to serve hot meals and give out winter garments to homeless families in need. We’re proud of the ways Googlers came together to celebrate and we’re committed to diversity and cultural inclusion year-round, with a focus on closing the technology gap. Last year, our FUSE, CSSI, BOLD and BOLD Practicum summer programs brought hundreds of students from culturally diverse backgrounds to Google offices worldwide for summer internships. We hosted national pitch night for The Technovation Challenge for girls. The BGN’s efforts to aid minority and low-income communities included its annual BGN New Orleans Outreach Trip, and we hosted speakers Condoleezza Rice, Alice Walker, Belva Davis and Soledad O’Brien among others. We have even more plans for promoting diversity in 2012. If you’re interested in volunteer opportunities in your area, visit mlkday.gov or allforgood.org. 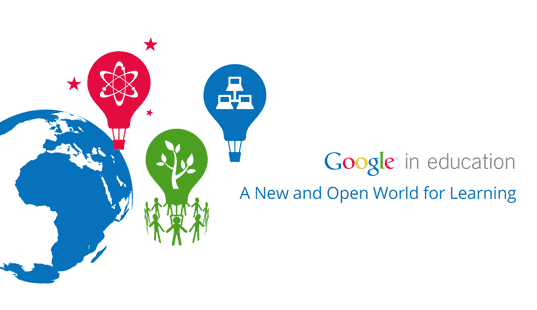 The Google Science Fair opens today, January 12, worldwide, and we’ll accept submissions until Sunday, April 1 at 11:59pm GMT (or 6:59pm ET/3:59pm PT). In addition to satisfying your curious mind, your brilliant project can also help to win you some pretty cool prizes, like a $50,000 college scholarship from Google, a 10-day trip to the Galapagos Islands with a National Geographic Explorer or an internship at Google or any one of our partners. Our Scientific American Science in Action award winner will earn $50,000 and year-long mentorship to make their project goal a reality.